Intel executives have said its 5G modem chips will not appear in mobile phones until 2020, raising the possibility its biggest customer, Apple, will be more than a year behind rivals in delivering a device that uses the faster networks. Sandra Rivera, who oversees Intel's networking chip business, said at a media event in Palo Alto, California, that sample 5G modem chips will ship to customers this year but that Intel does not expect consumer "products in the market" until 2020. Intel has said its 5G modem chip will be available later this year, but it never indicated when it believed products will arrive for consumers. Rivera said non-consumer 5G products, such as networking gear, will appear later this year. It was unclear whether Intel's timing on modem chips means that Apple will not have an iPhone with 5G capabilities in 2019. Bloomberg previously reported that Apple would not have a 5G iPhone ready until 2020. Apple executives have held talks with Samsung Electronics and MediaTek over 5G modem chips for iPhones to be released this year, but the outcome of those talks is unknown. Reuters reported on 7 February that Apple earlier this year moved its modem engineering efforts into the same division that makes its proprietary processor chips. 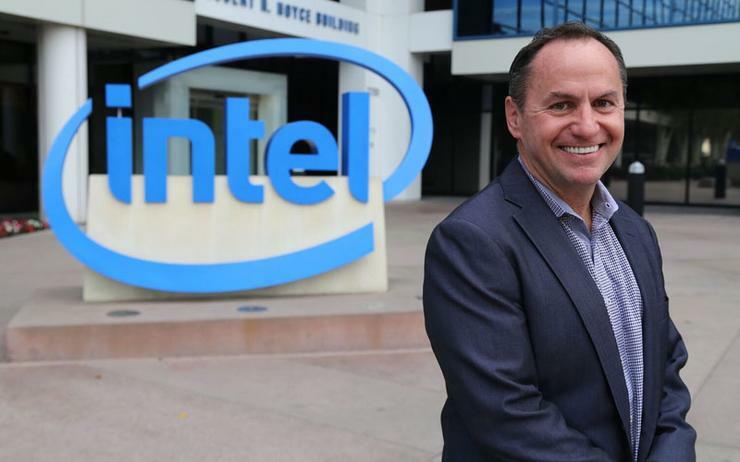 While Apple remains Intel's only major modem chip customer now, Intel CEO Bob Swan said the Santa Clara, California-based chipmaker plans to pursue other lines of business, such as selling modems to carmakers. He also said that modems could appear in a range of other devices, such as network gear, alongside Intel's computing chips as 5G networks proliferate. But Intel executives declined to comment on whether Intel would combine its modem and processors into a single chip the way that rivals such as San Diego-based Qualcomm Inc have done. "Our model relative to other California-based players is just completely different," Swan said. "Ours is not a licensing based model. "Royalty streams that are charged against the cost of the entire device, that's a model that as you know has caused quite a bit of friction in the market," Swan continued, alluding to Qualcomm's legal battles with Apple and other phone makers over the San Diego firm's patent practices. "Friction for others is opportunity for us."